contributor to the success of the Kern Athletic Fencing Foundation. 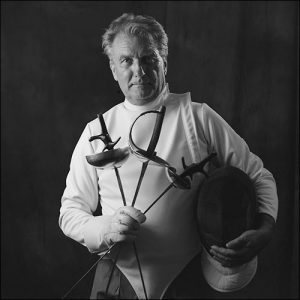 Lucas started his fencing career at the Los Angeles Athletic Club under Metre D ’Arms Delmar Calvert. He fenced on the UCD fencing team and was the founding president of the UCD fencing club in 1967.